The Google Nexus 7 was the biggest product announcement to come out of Google’s I/O conference last week, and was launched alongside the Google Nexus Q. The new, feature-packed and spec-rich Google Nexus tablet will be going on sale for just $199, taking direct aim at the current 7-inch tablet market leader – the Amazon Kindle Fire. The Google Nexus 7 will be an ASUS-manufactured device, and will come with 8GB of storage as standard, with a 16GB model available for $249. The Nexus 7 is powered by a quad-core Tegra 3 processor, has a high-resolution 1280×800 pixels display, 1.2 MP front-facing camera and connectivity options that include Wi-Fi, Bluetooth and NFC. The Android operating system was designed to direct consumers to Google products, apps and services just as Apple has done with iOS and the iTunes ecosystem. However, Amazon have used a highly-modified version of the Android OS in order to direct consumers only to Amazon products, at the expense of Google. The Google Nexus is likely to appeal to the same customers who are thinking about purchasing a Kindle Fire, and the equivalent price-point but higher specs and full Android 4.1 Jelly Bean functionality may sway them to choose the Nexus 7. Google wants users to purchase content from the Google Play store – not from Amazon, and to whet their appetites the Google Nexus even comes preloaded with a number of book and magazine titles including Conde Nast Traveler, Popular Science and The Bourne Dominion. 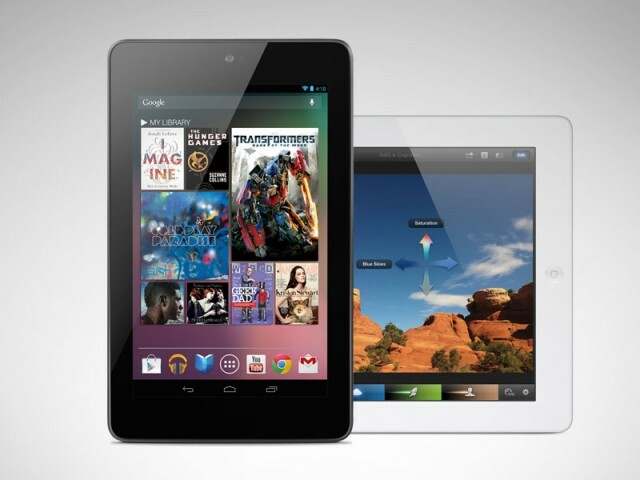 The Google Nexus 7 comes with music from Coldplay and the Rolling Stones as well a copy of Transformers: Dark of the Moon. 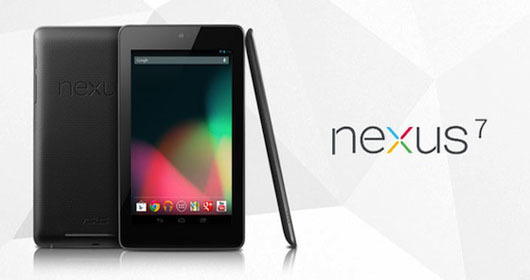 And if you pre-order the Nexus 7, you also get a $25 credit towards purchases on Google Play. Will you be ordering the new Google Nexus?